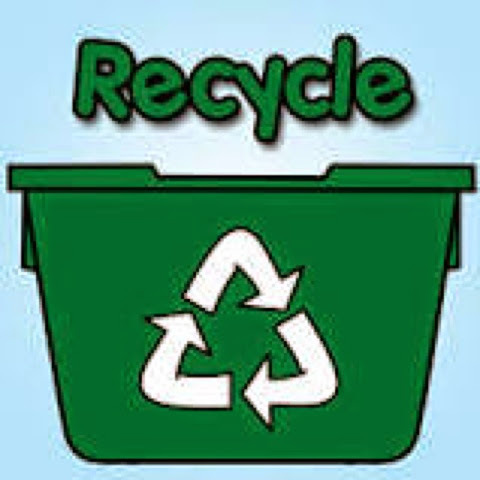 When I am at home I recycle as much as I can, even though I know some recycling that the town does ends up in the landfill due to the lack of a market for the recycled product from time to time. What disappointed me on the trip was the lack of overall recycling around the country. I had glass, plastic, and paper but when I stopped at rest areas it was extremely rare to see any separation of trash for recycling, in one case that there was a second container it was for plastic bottles only. Recycling was evident in one private campground in Casa Grande, AZ. McDonalds no recycling anywhere. None at grocery stores. None at casinos. None at gas stations/truck stops. 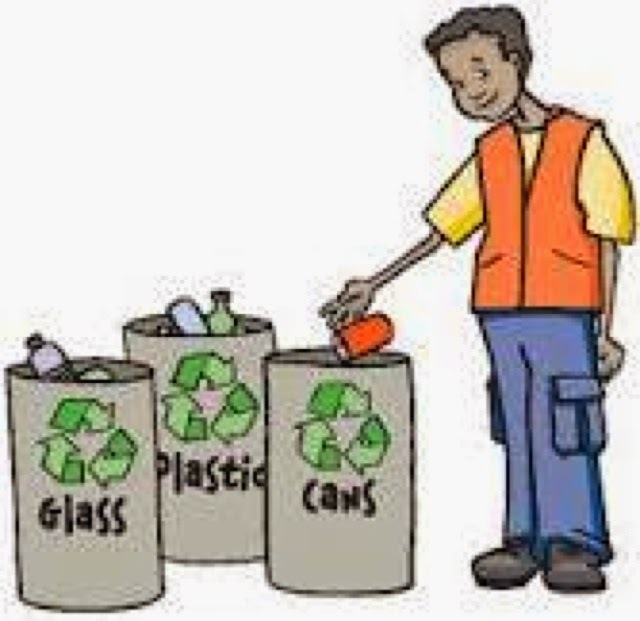 In fact the places with large amounts of trash generally don't have recycling. It bothered me that regardless of the attitudes of people about recycling there weren't options to recycle. I am a firm believer of recycling as it takes less energy to reuse a commodity than making it again from raw materials. Even if the cost of handling recycled materials off sets any gains. The less raw materials used and less energy that produces greenhouse gasses, the better off the earth is and the better off we are in the long run. When I visited Oceano and Monterey, CA they have banned using plastic bags at grocery stores. This messed me up as I reused the plastic grocery bags for trash bags in the camper. I mentioned this to Denise's cousins in Oceano and they had been doing the same and now need to buy plastic bags. I had reusable bags in the camper but I would never remember to bring them in to the store with me and when I went to check out it was too late. I need to start to bring in bag/s with me in all stores to try to reduce my usage even if I have to buy trash bags. Someone must have done the numbers to show it is better for the environment. There is so much going into our landfills that could be recycled. I feel we are misusing our natural resources and this will only come back to bite us some day. I I vision that there will be a day when natural resources get scarce that we will end up mining landfills for items. A few years ago I read an article about Nantucket mining their dump. They were doing it for space and sand. Nantucket being an island they don't have room to just expand the landfill and with landfill operations requiring the landfill to be covered with sand it was costing the for sand they had to bring to the island from the mainland at a heavy cost. Solution was to mine the dump and recycle what they could including the sand. When they did this they only returned a portion of what was there and they had sufficient sand to use to cover the new landfill dumpings. On the other hand Pembroke, MA gave up mining their landfill as it was too costly. Someday this cost benefit will switch to being cost effective. There is only one earth and with the current population growth rate in the world it is predicted by some that the world will reach maximum population sustainability this Centry. Although we may be only one in the total population, saving this one earth is the key to our grand children's future.